Late last week, Richard Dare of the Brooklyn Philharmonic posted a column on the Huffington Post about the unsustainability of a donor-based business model for the arts. A colleague, seeing this, wrote, “I’ve been saying that for years.” To which I replied, “me too.” I believe the first time I wrote publicly about this issue was in 2009 on the entrepreneurthearts blog in a post titled “Avoiding the Begging Cup.” Lightly re-edited, I re-post it here as a way to keep the conversation going from the recent past into what I hope will be a more sustainable future. "Please sir, may I have some more"
1. Can we teach our aspiring theatre artists to avoid the traditional path of the begging cup? 2. Would it be so bad to have a slew of privately-owned for-profit theatres (to avoid the begging cup that comes with 501c3 status)? How many times have we gone to a performance at our regional professional nonprofit theatre and been greeted at curtain time by the artistic director or managing director making a plea for support? The curtain speech plea has become ubiquitous in the last 18 months [remember, this was written 12/09, so that eighteen months marked the beginning of the financial collapse] as theatres have struggled to stay alive. But, it’s a technique not confined to the nonprofit market. Broadway cast members have been making their annual Broadway Cares/Equity Fights Aids fundraising plea for the six weeks leading up to the New Year. Both certainly have the air of the begging cup about them. The most successful development efforts, however, have nothing to do with begging during a curtain speech. Successful development efforts have at least three major components: partnering with community, developing audience, and effective grant-getting. When development focuses solely on asking for money, it is doomed to fail. However, when a theatre (or any non-profit arts organization) meets a community need, [when it creates value,] then the community will support it. The question is not how can we avoid the begging cup? but rather WHO can we partner with in our community? and how can we better serve our community? I don’t have any easy answers, but in general, arts organizations need to be focused outwardly rather than inwardly: Who are our constituents and how can we give them something of value? Rather than what do we need to do to maintain our current programming and structure? I listed effective grant-getting as a component of development because grant writing and grant-getting have several benefits. The mere act of writing grants (which are usually only available to nonprofits) forces an organization to focus and articulate its mission. Grant getting is also a form of community partnerships. Foundations want to partner with organizations that help advance the mission of the foundation. It is a bi-directional relationship. My provocateur expressed a utopian idea of having many small for-profit theatres, privately owned, and risk taking. Here Jim and I disagree. We have a model of for-profit theatres: Broadway. Some are privately owned, some owned by large corporations, but very very few are risk-taking and none of them small. (The risk-taking exceptions are the commercial Broadway productions mounted by nonprofit theatres; here we see riskier fare like Sarah Ruhl’s In the Next Room). But, much as small independent bookstores and mom-and-pop grocers are few and far between, so too would be privately owned for-profit theatres. Such theatres would have no choice but to pander to the ticket buying audience (a demographic not always known for risk-taking) and, driven by a profit motive, would not stay small for long because if successful, there would be buy-out offers from Comcast or Universal or Disney. Making art is risky enough without the art makers having to invest and risk losing significant capital. That having been said, maybe theatre makers should look to filmmakers for a for-profit model in which a company is formed around a specific project, money raised for that project, and then return on investment may (or may not) take place after distribution. Perhaps the way to have a for-profit theatre infrastructure is to avoid the institutional structure completely and consider each project as an independent venture. That would be an idea worth pursuing, but fundraising for a for-profit project-based venture brings us full circle back to the begging cup. This entry was posted in Arts entrepreneurship, Arts funding, arts infrastructure and tagged #supplydemand, arts entrepreneurship, Arts funding, audience development, innovation, performing arts, Theatre. Bookmark the permalink. Thought-provoking post. Can’t deny that I wish there was an easy answer. The important questions rarely have easy answers. Broadway is not the only model we have for for profit theater, the urban theater circuit is wildly successful, even though it gets very little respect. As a producer of a small, for profit (I prefer the term unsubsidized) theater company, I think your friend is dead on. The low overhead and flexibility we enjoy would be impossible within the NFP structure, and though our profits are small, and people don’t get paid much, we rarely operate at a loss. In a blog post in January I outlined 3 reasons why I don’t think the NFP model is sustainable http://www.spotlightright.blogspot.com/2012/01/rearranging-deck-chairs.html You also hit the nail on the head by pointing out that audience development is the key. I would argue that the free market is the fastest way to determine what audiences want, they let you know what they don’t want very quickly. My main concern with the “new” NFP models, is that none of them seem to focus on lowering production cost, a key element for the growth of the form. Great post, I am so glad to see people taking these questions so seriously. David: Thank you for your comment. It’s always interesting to see how my comments are received by conservative thinkers as well as “small l” liberal thinkers. Unlike you, I do not think the free market is either the fastest or the most efficient way to determine what audiences want because the market places so many obstacles in the way of artistic production. I agree with what you wrote on your own post, however, that “rich people and granting organizations” are the ones deciding what gets produced — and it is precisely because of market forces that this is the case. That’s why I argue for more public subsidies rather than less, and have even suggested that that public funding be granted via lottery rather than the current processes that seem to favor large established organizations over innovative smaller ones. For a detailed analysis of the conservative arguments against arts funding, see my 6 part series, “Waxing Theoretical.” For my own arguments for arts funding, there is everything else. All the best. 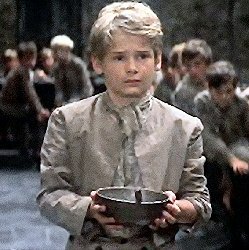 I think you hit the problem squarely in that the ‘begging cup’ is a symptom of the difficulty many of the arts are in. I guess its always a manifestation of relevance to the community, and you are spot of in identifying our risk taking as a means of exploring other niches and different aspects of our potential audience. We are not served by playing a conservative hand unless we already have enough to hold onto. Playing it safe is either cashing in a winning hand or stubbornly clinging to cards that we know won’t get the pot. Do we keep on anteing up, or do we know when its time to cut losses or switch to a different game? Sometimes desperate times call for desperate measures. Unfortunately that almost always forces us to look most closely at how we salvage things now, in the short run, rather than the longer view of improving things long term. And it makes sense to do so if we think that a bit of slacking off from our drive to make immediate ends meet will cause the whole game to collapse. But what seems most evident to me is that the only long term bet we can place on the future HAS TO include bringing the future generation into the game. And by that I mean doing a better job than we did with the generation that is so evidently failing to support us now. Doesn’t that make sense? So it seems that if we put too many of our eggs in the basket of merely potential candidates for supporting us (who to this point have demonstrated no actual love for what we are doing), are we making these efforts at the expense of time we could have spent nurturing the more openminded among us? In other words, do we spend too much time chasing dollars from adults whose minds may very well have been already decided against us, or do we try to convince the folks who are still quite flexible in what things can and will be a part of their lives? Its a simple truth that children are always more prepared to investigate new things because they are simply more curious. Adults have already seen much of the world and made most of their relevant decisions about it. Adults either like Theatre or they don’t. And if they haven’t ever seen it, chances are they will find it incomprehensible or a poor substitute for TV and movies. They won’t always ‘get it’. And if they don’t ‘get it’, why should we expect them to care? This is the difference between the openness of our formative years and the closedness of maturity. When we know that “you can’t teach an old dog new tricks” very easily, why do we persist in counting their aproval as the most important thing worth going after? If we eak along with a handful of new adult converts but fail to instil an appreciation in the young, will we have won the battle only to have lost the war? It just seems like an interesting question…..